The Body Shop is something I have always associated with my teenage years. Back in the day I remember going crazy for White Musk and always giving or receiving a bath set from here. Not that there is anything wrong with that but it very much has that “school” vibe for me and for that reason it hasn’t been an obvious choice for me for ages. Saying that though, not so long ago I took a little wander into this old-school favourite and stumbled across their Expert Facial Mask range. 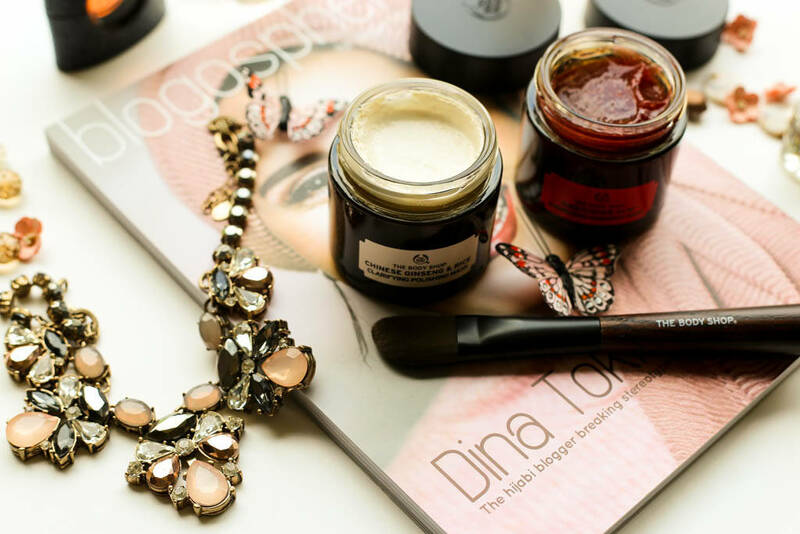 Inspired by nature and free from parabens, paraffin, silicone and mineral oil, there are five different masks to choose from and each for varying skin needs including a Himalayan Charcoal Purifying Glow Mask, an Ethiopian Honey Deep Nourishing Mask, an Amazonian Acai Energising Radiance Mask, a Chinese Ginseng & Rice Clarifying Polishing Mask and a British Rose Fresh Plumping Mask, all at £16 each. 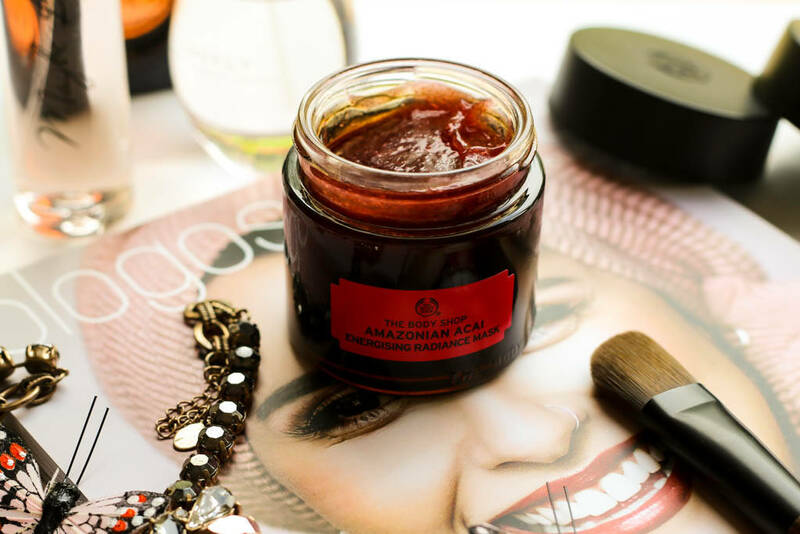 After much deliberation I decided to go for what I felt my skin needed the most at the time – an energy boost and clarifying, so for that the Amazonian Acai Energising Radiance Mask and the Chinese Ginseng & Rice Clarifying Polishing Mask seemed like the obvious choice. 100% vegan, its key ingredients include acai berry, which is high in vitamins C & E therefore providing antioxidant properties and helps to rejuvenate the skin, guarana which are small red berries native to Brazil and help to smooth and waken the skin as it naturally contains caffeine, and Community Trade babussa oil from Brazil. Babussa oil is like coconut oil and is described as the Brazilian “go-to” oil as it is rich in antioxidants and vitamin E.
It does feel a bit tingly and after 5-10 minutes, which is the recommended time to leave this on for, it dries to a sticky consistency. I rinse this off with warm water using gentle circular motions and as an exfoliant this is very effective. Afterwards I notice some brightness and a smooth appearance but my skin does feel a bit dry. Although easily fixed with moisturiser, it’s a slight negative for me and probably why I don’t use it all the time but all in all I think for a pampering session and using something a bit different on your skin, you do get that feel-good factor. 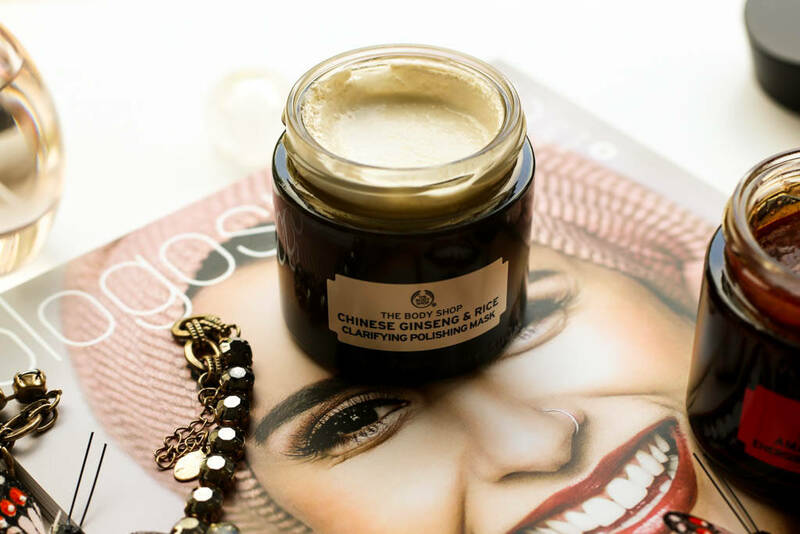 The Chinese Ginseng & Rice Clarifying Polishing Mask, however, is definitely a favourite. 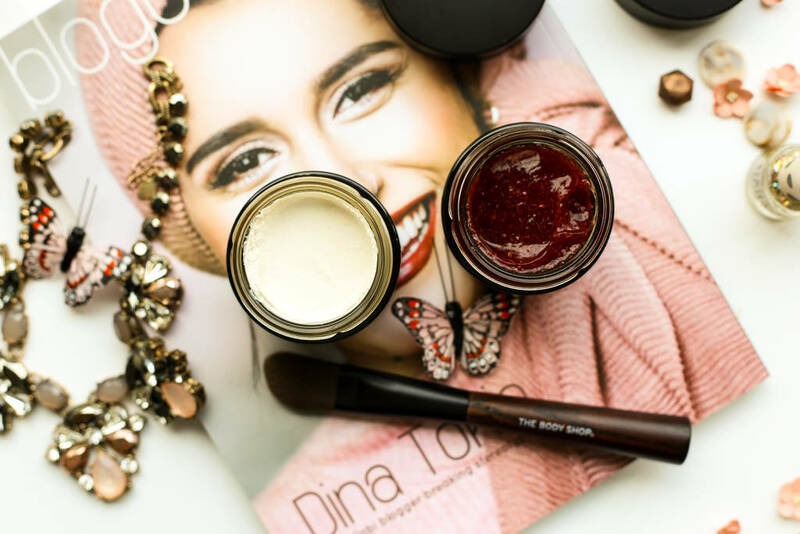 Yes it looks and applies a bit like paint but this creamy exfoliating mask does what it says – evens skin-tone, removes dullness and illuminates and brightens the skin. It feels very gentle and cooling on application and doesn’t dry my skin out. 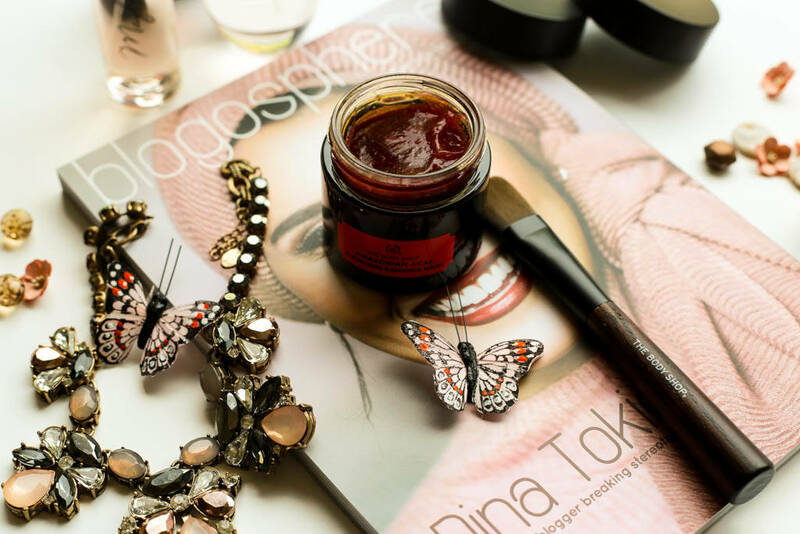 Key ingredients in this mask include rice and ginseng extracts from China known to tone, stimulate, brighten and moisturise and Community Trade sesame seed oil from Nicaragua, which is rich in antioxidants and nourishes and softens the skin. You also leave this on for 5-10 minutes and I find that as it dries, I don’t get that very tight feeling like you do with other masks. 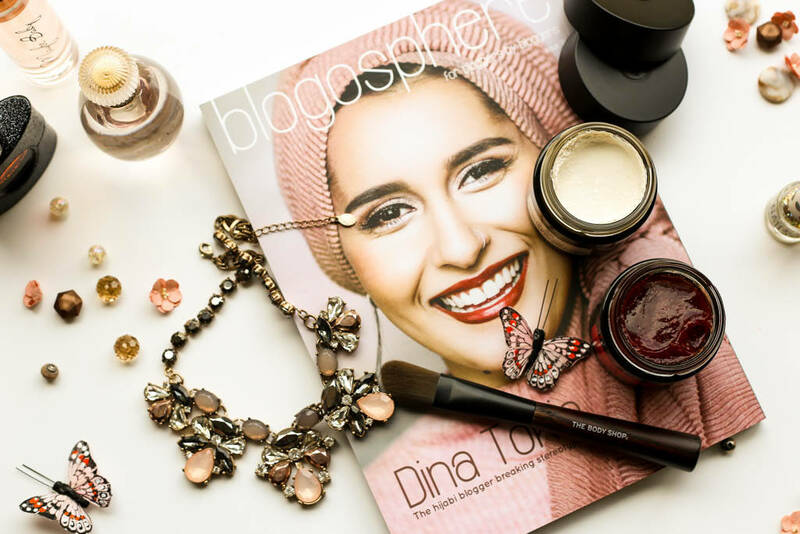 When adding water, this becomes very creamy and it reminds me of the Dermalogica Daily Microfoliant in terms of its texture and gentleness on the skin (you can see my review on it here). I definitely get that instant super clean and brightness when I use this mask, plus my moisturiser sinks in better afterwards. I must add, using the Facial Mask Brush, also from The Body Shop for £8 makes applying face masks so much easier as it’s less messy and you don’t end up wasting a lot of product either. I wouldn’t have thought of applying face masks with a brush before but am now officially converted! I’m glad I popped into The Body Shop that day and stumbled across these face masks. I think whatever your skin needs you are pretty much covered with this range and they are good value for money too.